Agents can change their email ID by following below steps. Click on the “My Settings” from the profile drop down. 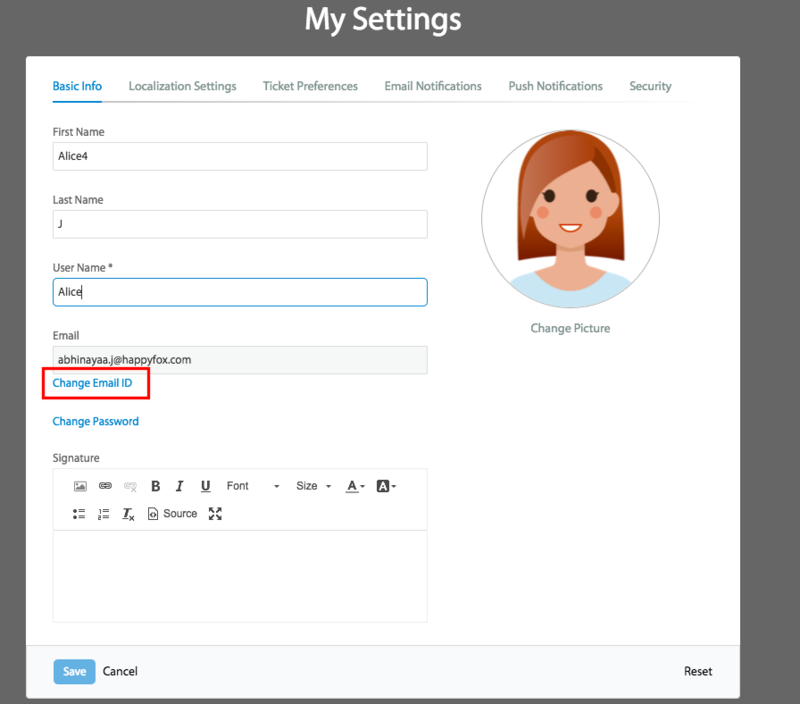 From the “Basic Info” tab, click on “Change email” to initiate the email change process. Provide the new email ID and password and click on save. A verification email will be sent to the newly edited email ID. Agent has to verify the email ID by following the instructions in the email. Note: The email ID gets updated only after the agent verifies the email ID. 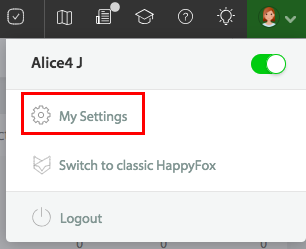 Can we delete an agent account in HappyFox? How to add image in agent signature?